The Westcott C-Thru Proportional Scale is used to calculate enlargements or reductions from 10% to 1000%, from 1" to 100". Made of tough plastic, it has large, easy-to-read markings. 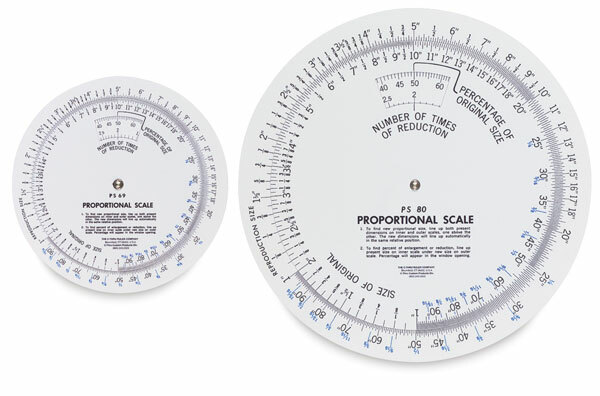 Available in a variety of sizes, the Proportional Scale can be used for a variety of applications, from quilts to photo enlargements and more. It provides the number of times of reduction as well as the percentage of the enlargement or reduction. The calibrations for fractions smaller than 1" are printed in blue.